Wait, so this is a repeat wrong-number caller? 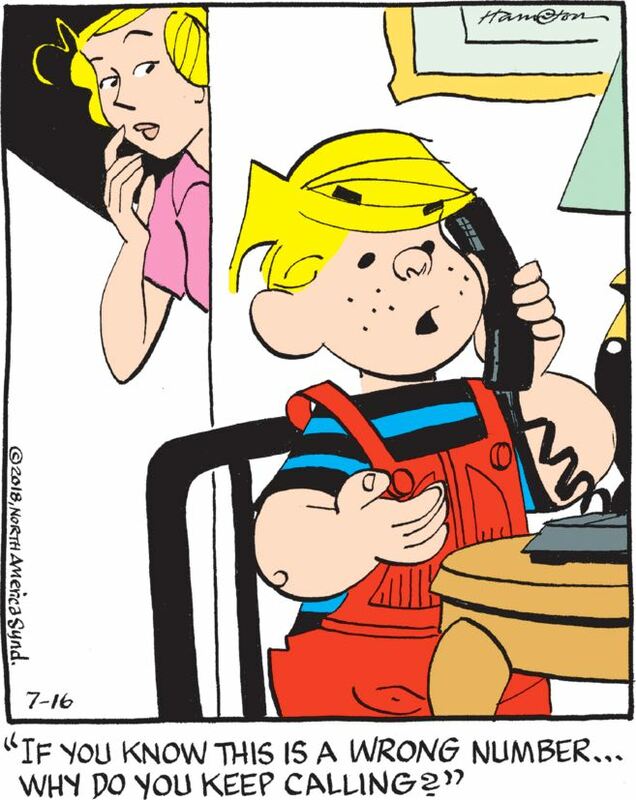 Who admits to Dennis right off the bat that he knows he’s calling the wrong number? What exactly is going on here? Dennis’s pushback is entirely legitimate! He’s the one who’s being menaced, by some phone-creep! 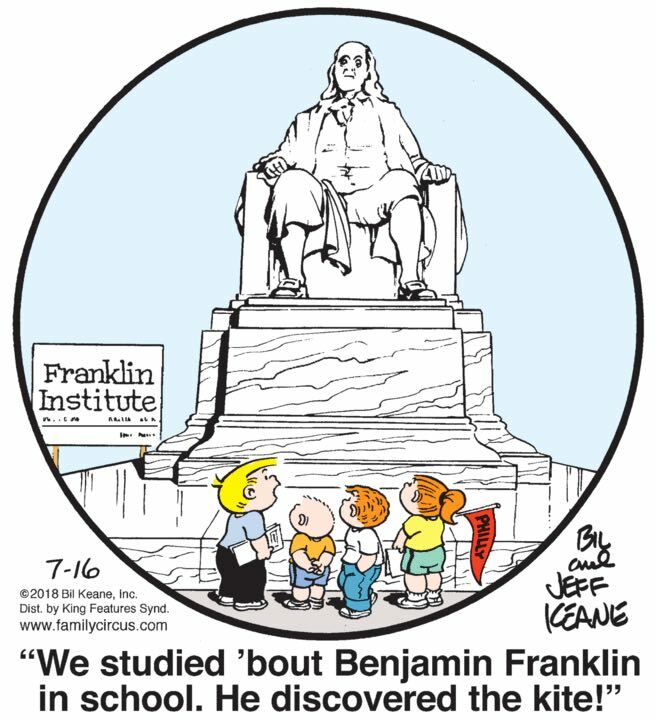 It’s really a fine line between “Ha ha, our children, being young and unlearned, do occasionally say the darndest things!” and “Oh, Christ, our children are dumb, just dumb as posts, they’re too old to be displaying this level of ignorance, this is humiliating for everyone concerned,” but the Family Circus has just blown right past it today! Plus she’s … right there? Right there at the bottom left of the panel, in plain sight? That’s Bertha Bear, right? I’m not going crazy here?